Thomas Firth commenced construction on his house in 1861. Firth (ca.1796–1875) had been a Hudson Bay Company labourer. He retired to the Parish of St. Andrews where a community of former Hudson Bay Company employees formed a wealthy enclave within the Red River Settlement. In 1911 the house was purchased by businessman E.H.G.G. Hay. Hay (1840–1918) was a member of Louis Riel’s provisional government. He also served in the first Legislative Assembly in Manitoba. "The Heights" is one of only a few remaining stone houses from the Red River Settlement era. Five of these are concentrated along River Road, south of Lower Fort Garry. This house is a vernacular expression of the Georgian style of architecture. That style, which originated in eighteenth century Britain, produced buildings of symmetrical composition enriched with classical detail. 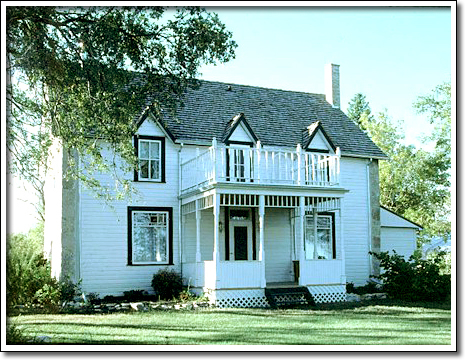 In Manitoba, such houses represented the pinnacle of Red River domestic architecture.